You will earn 1576.00 bonus points. ? Sleep like a king while adding dramatic flair to your bedroom space in the regal Hugo grey velvet queen bed. 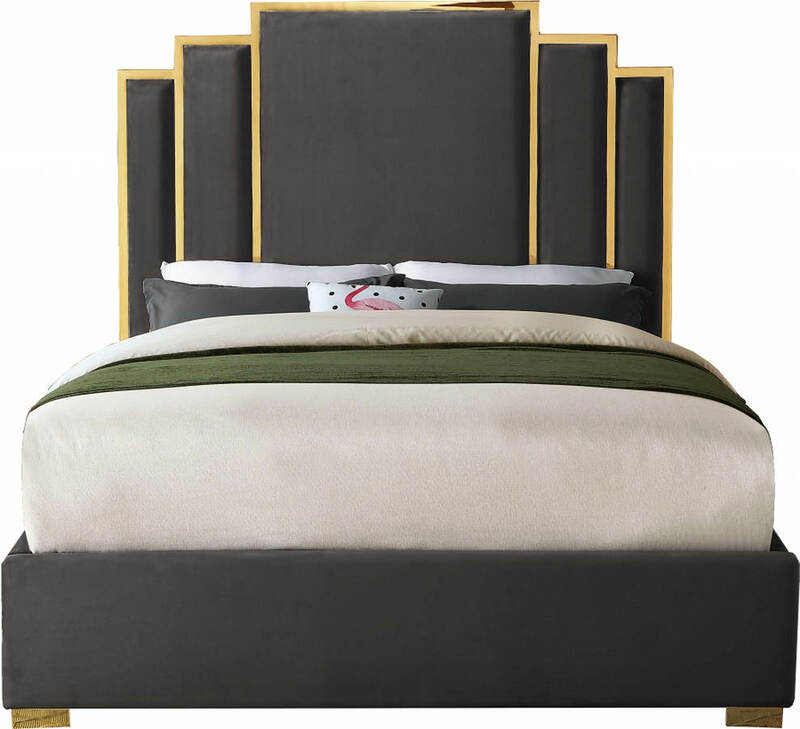 Sleek grey velvet upholstery is supported by a polished gold metal frame, supported on gold metal legs, creating a stunning bed that's truly fit for royalty. The unique gold-framed layered rectangle design of the headboard commands attention of anyone who ventures into your sleeping chamber, and its luxuriously large size ensures you'll slumber like a king.